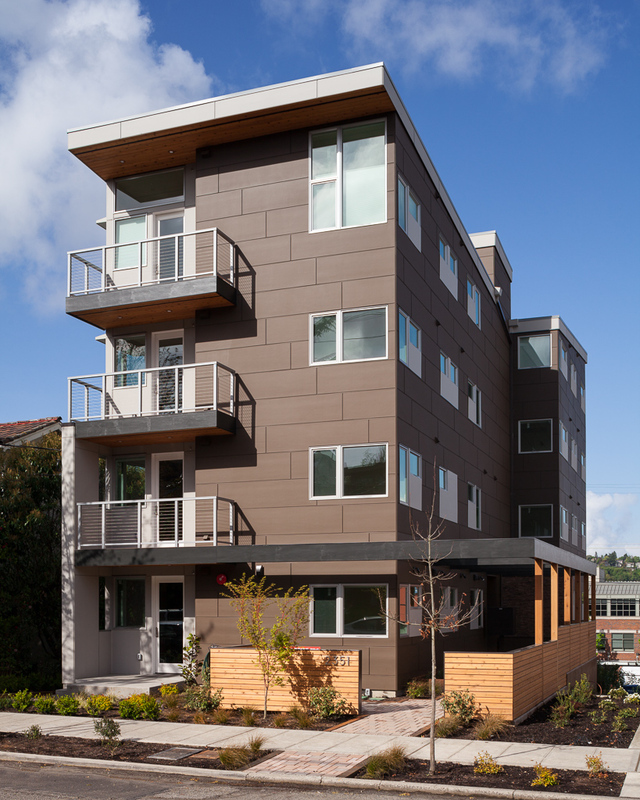 This 8-unit apartment building in Seattle will feature airy, light-filled units with views of Lake Union from the upper floors. 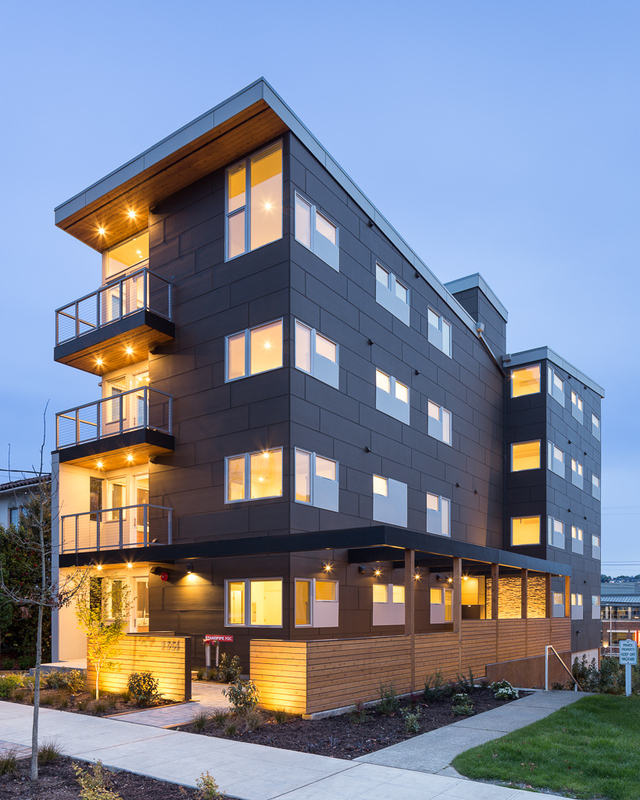 The Sola16 design targeted a 4-star Built Green certification, and focused on promoting smart growth by increasing density and creating family-sized units in an urban neighborhood. 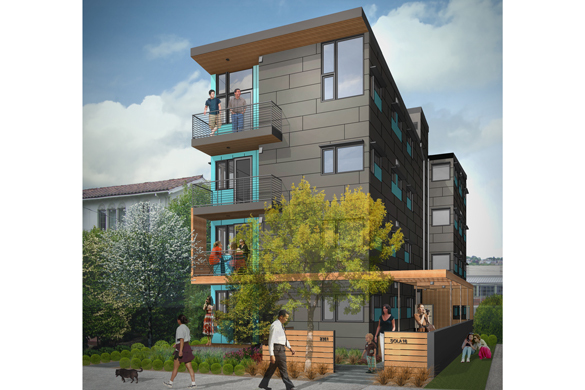 Schemata guided Sola 16 through the city of Seattle’s Streamlined Design Review process in order to gain an additional 10% of building length adjustment and maximize the allowable FAR for the site. 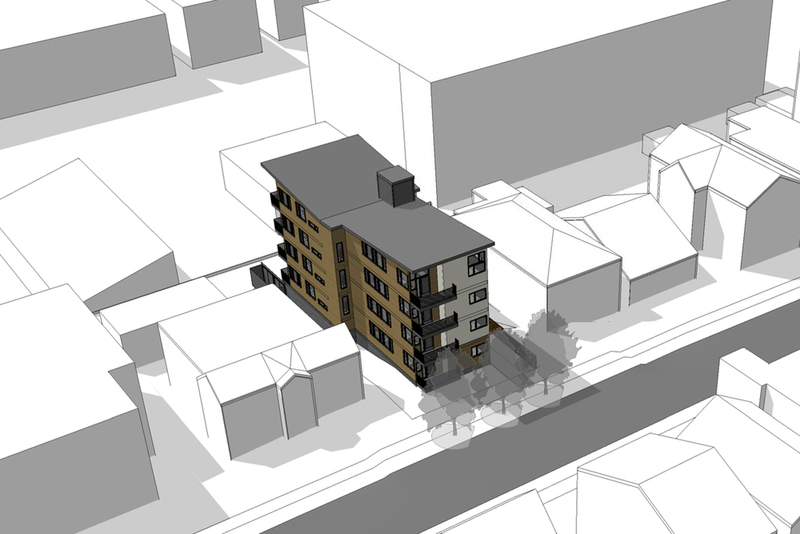 As part of this review, Sola16 was subject to the city’s Design Guidelines. Particular attention was paid to the transition between residence and street, and the building-to-street relationship was designed to create opportunities for people to interact.